Dr. Elizabeth Piantanida always appreciates feedback from her valued patients. To date, we’re thrilled to have collected 166 reviews with an average rating of 4.84 out of 5 stars. Please read what others are saying about Dr. Elizabeth Piantanida below, and as always, we would love to collect your feedback. Dr. Piantanida Is very professional took her time, and listen to me and gave me the right diagnosis. Dr. Piantanida is a very caring and approachable doctor. She knows my case history without being prompted for past history. She is open to trying out different treatment options which means a lot since some of mine are pretty controversial in regards to practice. She seems to be genuinely interested in getting my diagnosis under control. In addition she has a very competent and friendly staff onboard. Great practice and great physician. Dr. Piantanida is the best dermatologist I've ever had the pleasure of doing business with. Because I've been misdiagnosed by other dermatologists, I know she's an expert in her field. Friendly and personable--a far cry from so many haughty medical professionals. Dr Piantanida is fantastic!! 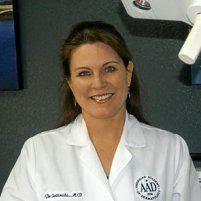 She is very knowledgeable and caring and truly delivers the best skin care in Colorado Springs!! Dr. Piantandia is the best! She listens and makes recommendations based on your needs not some artificial standard. I always look refreshed and not as if I have had something done. She explain to me about the medication that l'm using and how it affect my skin and the procedure tbat we' re doing. Dr. Piantanida always does a great job no matter iy may be! The staff and assistants are also great!! Always enjoy coming into Dr. Piantanida’s office. Everyone is very friendly from the front office staff to the nurses. Dr. Piantanida always takes her time to listen to my concerns and for myself and my family members. I never feel rushed or at in a hurry. The office environment is very relaxing no matter what you are there for. I seen her for over ten years and recommend her to all my friends for all their skin care needs.